"Cortisol influences carbohydrate, protein and fat metabolism." - @NoraGedgaudas on how stress leads to weight stalling. What is low carbs? 30-40 grams for average person. Up to 100 for a high performance athlete. #PFX13 who's voice are YOU hearing, and is it real for you? @NoraGedgaudas #PFX13 love yourself in an honest way, not a punitive way. 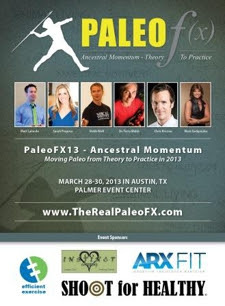 #Pfx13#PFX13 women: save your adrenals now for a better menopause later...or sooner! #PFX13 Keifer: "vegetables are a vessel for butter"
#PFX13 medical ketosis is a healthy shift. The % of fat depends on your desired result. #PFX13 your body will shift from fat storing from fat burning BUT you protein to fat ratio needs to be right. #PFX13 when you’re craving carbs most of the time you may be really craving salt. #PFX13 hunger is not based on how much you eat but it is based on blood sugar levels. #PFX13 often people have leptin issues when a ketogenic diet isn't working. #PFX13 @fatburnman bio hacking: sleep better! Use what you have to but get better sleep!